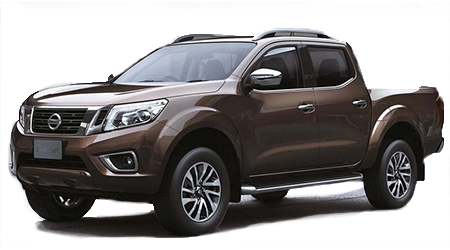 Nissan’s all- Frontier is once again raising the bar for the mid-size truck segment. The Frontier provides plenty of hauling capability, as well as agile handling for real-life situations like parking and driving in the city. At such an affordable price, the 2016 Frontier is a no-brainer for just about anyone who is looking for a pickup truck that’s truly versatile. The latest Frontier continues to offer the performance and capability that have made Nissan trucks so popular, while offering many interior conveniences that you may not have expected to find in a mid-size pickup. Whether you need a pickup truck for commercial use or weekend work and play – Nissan has you covered with the 2016 Frontier. Drivers near Spokane Valley or Country Homes, WA, Post Falls or Coeur d'Alene, ID, can visit Dave Smith Nissan to see the sporty and versatile Frontier mid-size truck in action. Our friendly team of sales professionals would love to help you find your ideal truck, right here on the Dave Smith Nissan lot! When you need real power for hauling, towing, or just having a little bit of fun in your mid-size truck, opt for an available V6 engine. Having real, usable power means that you must have plenty of torque available to get any job done right. While both the 2016 Nissan Frontier and 2016 Toyota Tacoma trucks offer V6 powerplants, the superior torque of Nissan’s V6 goes a long way in helping the Frontier feel more powerful and capable. With 281 lb-ft of torque on tap, compared to the 265 lb-ft produced by the Tacoma, the Nissan Frontier is ready for just about any job or adventure. If you’re searching for a V6-powered mid-size truck, look no further than Nissan’s potent and capable 2016 Frontier! Just because it’s a smaller mid-size truck, doesn’t mean that the 2016 Nissan Frontier is lacking in interior space – or capacity in the pickup box, for that matter. In fact, the 2016 Frontier surpasses Toyota’s 2016 Tacoma in so many crucial dimensions, like offering more cargo room and a larger maximum width in the pickup box. When comparing standard cab trucks, the Frontier’s well-appointed cabin is also more spacious for rear passengers, with the Frontier King Cab providing more overall passenger room, as well as more rear headroom, legroom, and hiproom. And where the Nissan Frontier doesn’t win out, the two trucks are nearly identical in interior dimensions. If you want to drive a mid-size truck with a surprisingly spacious cabin, and that offers lots of cargo capacity too – get behind the wheel of the sporty and versatile 2016 Nissan Frontier! One reason that drivers opt for a mid-size truck instead of a larger full-size pickup is the value for the money that smaller trucks like the 2016 Nissan Frontier provide. When comparing the price that it takes to get into a 2016 Frontier compared to its rival from Toyota, the price difference is staggering. The base 2016 Frontier starts at an MSRP of $20,860. Even before comparing that with Toyota’s entry price, that seems like a steal of a deal! 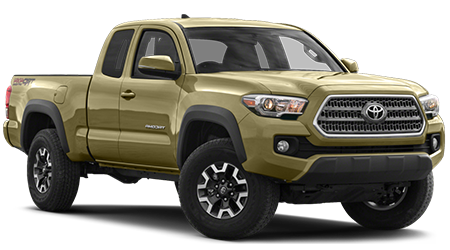 The 2016 Tacoma base model, on the other hand, starts at an MSRP of $23,300 – or nearly $2,500 more than a similarly equipped Frontier! I don’t know about you, but I’d much rather have the Nissan Frontier’s greater interior and box capacity and still save thousands. If you’re not already convinced that the 2016 Nissan Frontier mid-size truck trumps Toyota’s Tacoma, you’ve got to see what the Tacoma is missing – in standard features, that is! Nissan’s 2016 Frontier comes with standard features like a pickup box cargo light, cruise control with steering wheel mounted controls, a 50-50 folding rear seat, an Illuminated glove box, and variable intermittent front windshield wipers. Sadly for Tacoma drivers, none of those features come standard on Toyota’s truck. If you’re searching for a mid-size truck that’s fuel-efficient yet powerful, and doesn’t skimp on standard features, the 2016 Nissan Frontier is the truck for you! The rugged 2016 Nissan Frontier is such a versatile truck, that it truly offers something for any driver who’s searching for a well-rounded pickup. If you are near the cities of Spokane Valley or Country Homes, WA, Post Falls or Coeur d'Alene, ID, come see the 2016 Nissan Frontier at Dave Smith Nissan in Spokane, WA. Following your test drive of this versatile mid-size truck, we’re confident that you’ll want our sales team to help you find a 2016 Frontier of your very own to drive home. Stop into the Dave Smith Nissan showroom, located at 6901 E Sprague Avenue, in Spokane, WA, or browse our inventory of new Frontier pickups and other Nissan trucks right here on our website.